Matias Quiet Linear switches are notable for their significant deviation from traditional Alps linear switch designs. Linear Complicated Alps and Simplified Alps did not use a tactile leaf, nor did they utilize a rubber noise dampening mechanism from damped models. 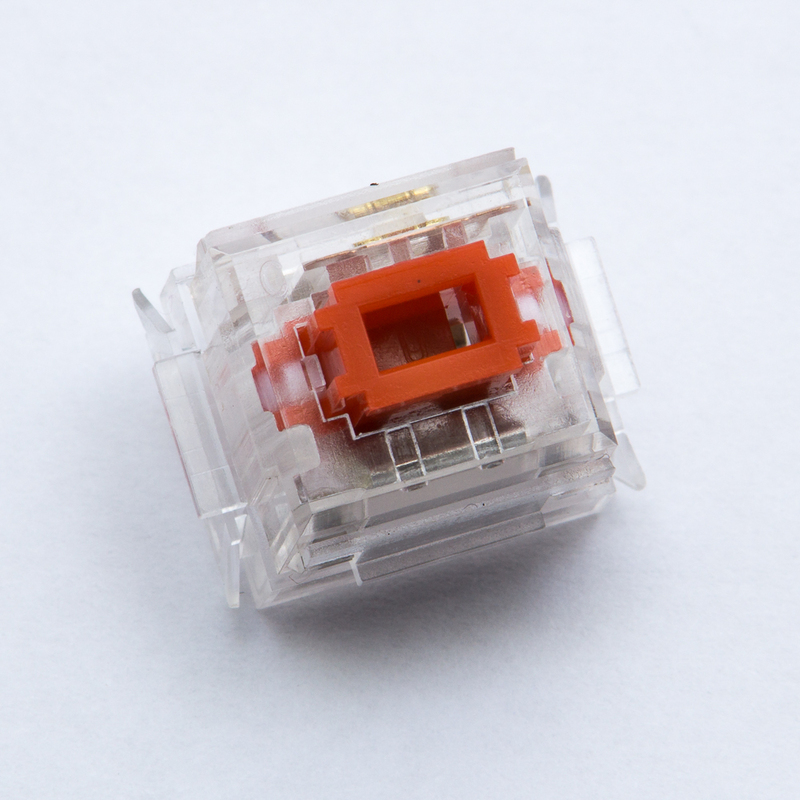 The unique combination of features results in a force curve that doesn’t resemble original linear Alps switches. Matias Quiet Linears feel more tactile than their graph would indicate. A slight bump from 1 to 2 millimeters, which seems visually insignificant, leads to a particularly light tactile sensation. The drop off just before 3mm, which is caused by a negative bend in the not-quite tactile leaf, is even more noticeable. It encourages one’s fingers to bottom out, which some may find uncomfortable. The bottom of the switch slider is shoved toward the switch contacts near bottom out, which can cause keycaps to shift under one’s fingertips when typing. That shift is possible due to stem wobble, an issue that is present in most Matias switches. Recent tooling changes are said to reduce it somewhat. Matias Quiet Linear switches don’t quite live up to their name, as they are noisier than Matias Quiet Clicks. A light metallic ringing, likely caused by low spring preload, is present during rapid presses and snappy finger upstrokes. Quiet ticks during full actuations, which may be caused by tactile leaf movement, are detectable. Soft thuds punctuate bottom out and release impacts.